Express Service is now available at Ray Catena INFINITI of Edison! In & Out in 60 minutes or less. *Terms and conditions apply. Retailer sets price. 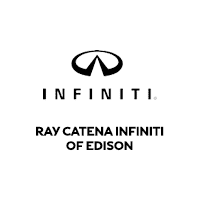 See your Ray Catena INFINITI of Edison for details. INFINITI names, logos, product names, feature names, and slogans are trademarks owned by or licensed to Nissan Motor Co. LTD., and/or its North American subsidiaries. Always wear your seatbelt, and please don’t drink and drive. © 2010 Nissan North America, Inc. All rights reserved.